Looking for a landscaper in Portland Oregon? Often folks start first by looking at price which is totally understandable, but what do you get for your money? That’s a crucial question! To be fair there are many wonderful companies out there, small and large—and everywhere in between. But you will find some tendencies. Just below you will find an overview which may prove helpful. We are a mid-sized landscaping company in Portland, Oregon which began operation in 1979. Over the years we have extensively refined both our service offerings and how we provide that service. (With a business name beginning with ‘Precision’ you could get a clue.) Please see the other pages in the maintenance section for more details. You will find us personable and easy to work with. Additionally, we are easy to contact, especially via email or texting on our iPhones, as well as cell phone calls of course. Very importantly, you will find us to be consistent. When it comes to landscape maintenance, the need for consistency cannot be over-emphasized. We have multiple supervisors and multiple crews, with varying specialties in the landscape field. The resulting depth of experience will work to your advantage when special needs arise, and they do have a way of popping up, don’t they? The maintenance crews focus on how to optimize the care and appearance of your landscape. This helps them to excel at what they do, day in and day out. If you are shopping for a landscaper, you will want to compare apples to apples when it comes to service offerings. You may find this quite difficult since differing companies really do take different approaches. Here are a few variables. If lawn mowing is included, how many cuts? The same for weeding and cleaning out flower beds. How often is it done? What is the frequency of winter season visits and what exactly will be done then? What are the extra expense items? This issue of extra expense items is extremely important and the approaches taken can be all over the board. Once we lost a long term customer due to price. He had been price shopping us for several years. Finally he went for the lower price. Well, we included ongoing bed care that kept his flower beds clean of weeds and debris. The other company did not. Instead they came in to do a clean up every month or two which is far less cost effective. The customer’s net costs skyrocketed and he found that we actually cost far less over the course of the year. Needless to say, he came back and stopped looking around. Price is often lower but not always. Service can be excellent but it can also be poor. Service can be inconsistent, for example when a big cash job comes along and your Friday lawn mowing gets pushed off to Sunday afternoon. Little depth of service know-how. This takes more people with more experience. Likely not licensed, not bonded, not insured—not even workman’s comp. If there’s a problem, guess who is left holding the bag. Sure, not having these things does save money but is that what you want? Check a contractor for a landscaper’s license. Look at the Precision Landscape Service’s license. When an owner operator tries to grow his business, watch out. There are far more pitfalls than the owner realizes. You may be the one who suffers for it. Sometimes they just disappear with no warning whatsoever. Yep, really! Often our best customers come after someone hires and fires several owner operators. (They just keep hoping it will get better.) After years of frustration they opt to spend more money for a professional company—namely us. You have more possibilities here. However, in the early years there will be severe growth pains. It takes time to develop solid business practices and to establish a good base of employees. Many of the pitfalls of the owner operator will linger. Eventually they improve—or else they may go out of business from frustration. Running a business isn’t easy, no matter what they tell you! Most likely you will be on a first name basis with your contact person from the company. Hopefully you will find him knowledgeable and helpful. This person should become your great ally in caring for your landscape. Make sure you like him! Pricing can be a really unusual thing here. Often companies, especially newer ones, have no idea of what they need to charge for their work. Additionally, they may have little idea of how much time will be required to do the work. As a result the company may work at a loss or with a very high profit. Sadly, they may not know which it is! Ok, that’s their problem, right? Well, it comes to bite you in the rear when you get a nasty price increase and you wonder what happened. You may even get mad. We’re just letting you know. In contrast our estimates are generally highly accurate. They are based on many years of compiled data. You may notice that we measure the lawn and shrub beds when we do an estimate. It takes longer, but really helps us to succeed. Watch and see if anyone else does that! Would you like to know the result of our approach? We allow enough time to do the job, which means it gets done well. All the pieces (jobs to do) are in place so the work gets done on schedule. Usually no price adjustment is needed in subsequent years—other than inflationary changes. 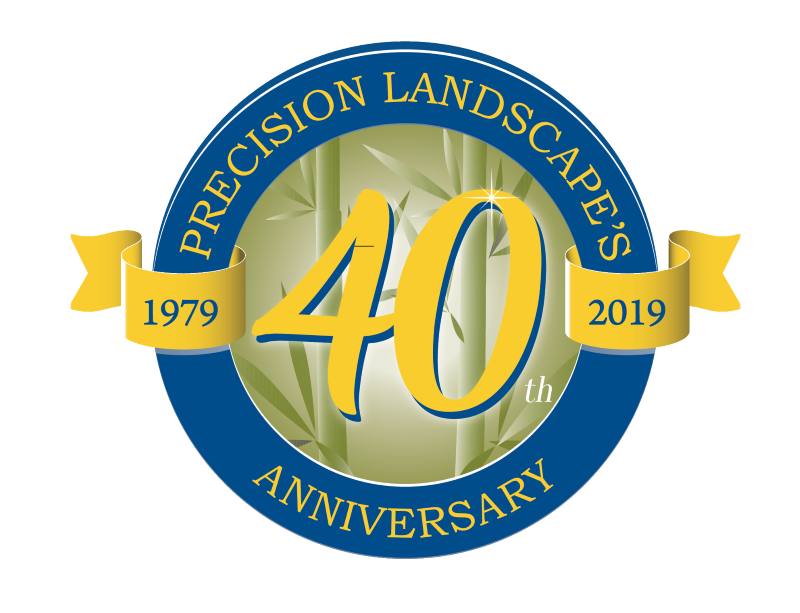 Precision Landscape Services is in this category and we have been for over twenty years. Our services have been refined and redefined extensively. As a result we are confident of our ability to satisfy the needs of just about any small to mid-sized landscape. Generally the price is higher, especially for small landscapes. When working on large landscapes, large companies can be competitively priced. This brings up a crucial line of demarcation. Does the company focus on large properties or smaller ones? Generally it will be one or the other. If you have a smallish landscape and the company’s true focus is on large properties, you could experience a wrong sizing issue.